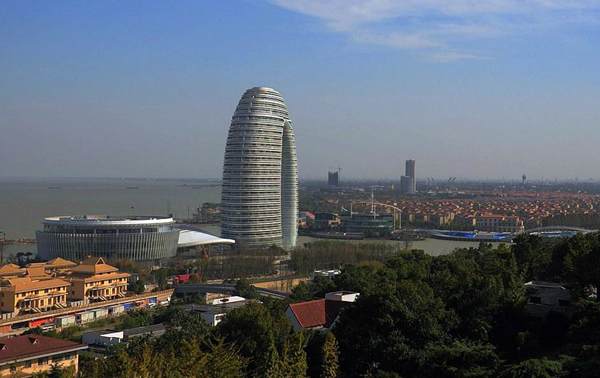 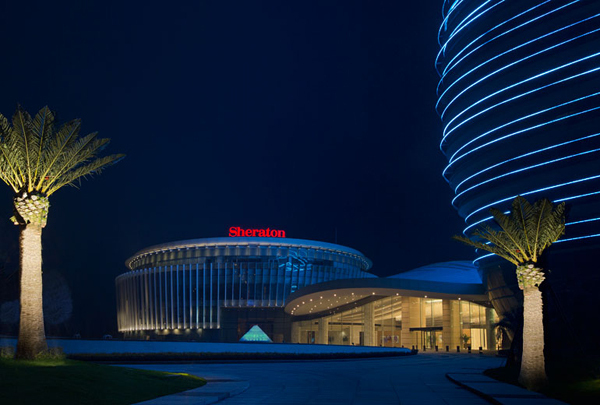 The Chinese-based Sheraton hotel chain is planning an aggressive expansion in 2013, opening 30 new branches in the Asia-pacific area and four in Africa and the middle east; 15 alone will open in China within the year. 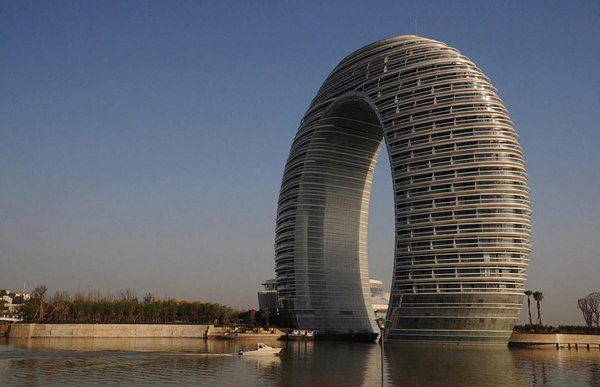 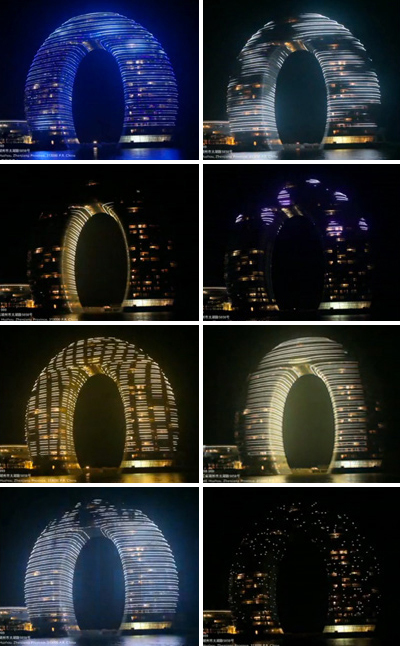 The “Sheraton Huzhou Hot Spring Resort” is perhaps the most striking of this endeavor, designed by Beijing-based architect Ma Yansong of MAD Architects. 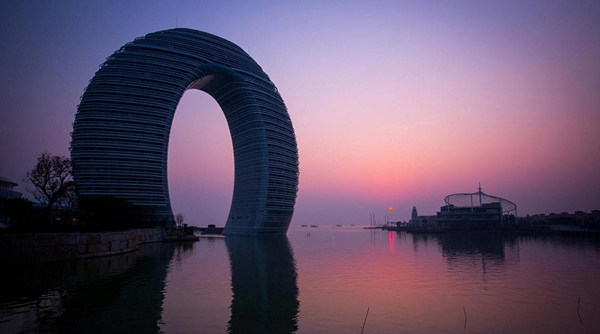 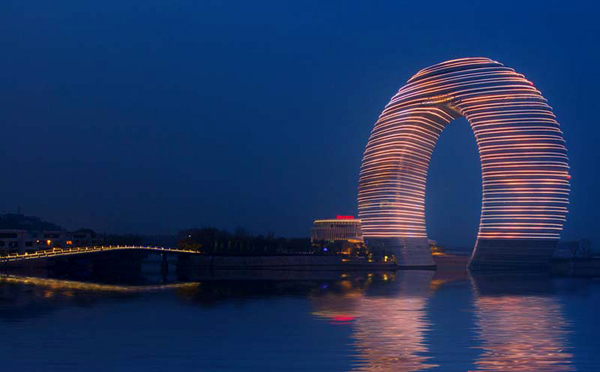 It could be described as horseshoe shaped, or maybe as a partially submerged bold serif-faced ‘O’, or even possibly a dipped elongated donut, but no matter how you describe it, the newly opened Sheraton Hushou Hot Spring Resort is not your average looking hotel. 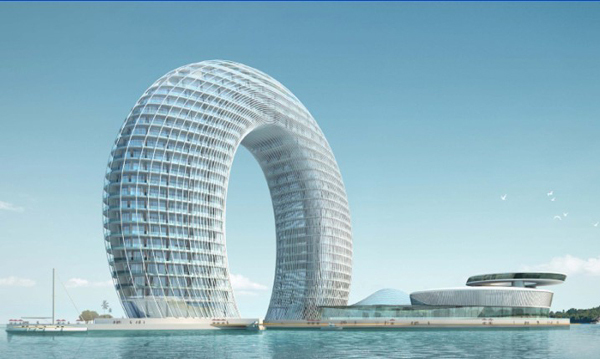 Standing at just over 100 meters high and 116 meters wide, the hotel covers an area of 75 acres and provides 321 rooms and villas, including 40 suites, 37 villas, presidential suites, and a total floor area of 95,000 square meters, coming to an investment of about 1.5 billion dollars. 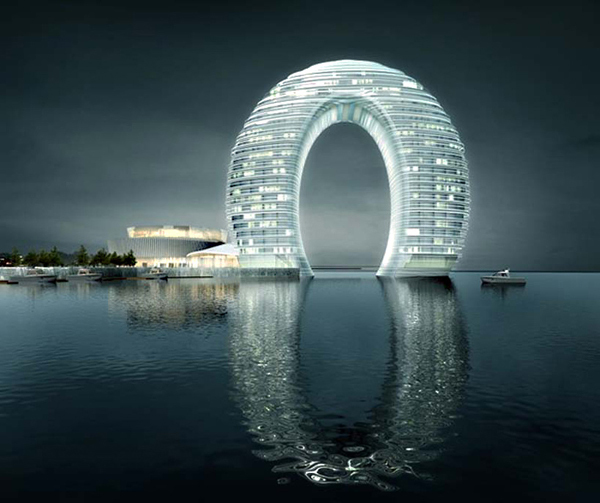 The design is the perfect embodiment of water, giving every room a view of the lake, natural light, and ventilation no matter where it is located. 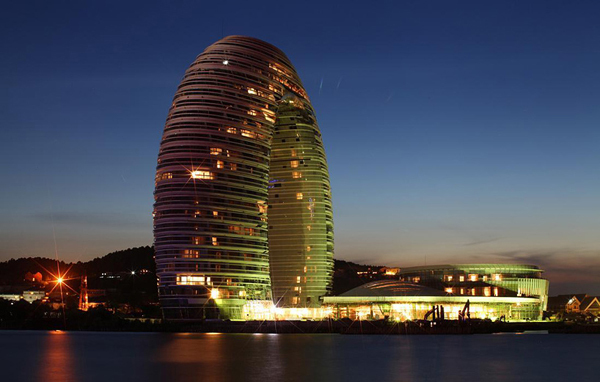 An LED light system on the exterior skin of the construct brings the metal structure to life at night, displaying colorfully animated textures and patterns, reflected on the water’s surface.